In order to best deal with fire and smoke remediation, call the fire damage restoration experts at 911 Restoration Saint Louis to help you rid your home of all signs of fire, smoke, and water damage. In order to serve you better, the branch owner, John Fowler, has years of experience in the restoration business, specifically due to his extensive time as a water damage contractor. In the unfortunate event of a fire, it is important that our customers know that they can call on John and his team available 24/7/365, every day of the year, including holidays, to restore their home, making it look better than it originally was. The fire damage restoration team specializes in cleaning up both fire and water damage, since they usually go hand in hand. Many people forget that in the event of a fire, there are firefighters involved that use water to put out the flames. Although the water assists in quelling the flames, it also floods the home, causing considerable water damage in addition to the havoc that the fire caused. The fire damage restoration crew will be able to start cleanup procedures on your home right away, so do not hesitate to call if you have recently experienced a home fire. 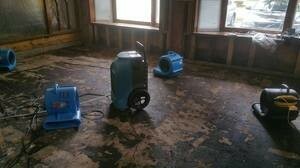 The fire damage restoration team prides themselves on providing quick and affordable quality service. They promise to be at your home within 45 minutes of your call to 911 Restoration Saint Louis, ensuring that your home will get cleaned up that day. We offer competitive pricing and promise to help you handle the insurance companies, doing everything we can to get you the most for your money. More than anything we want to make sure that our customers are always taken care of. The fire damage restoration professionals will put your mind at ease and make sure you are safe before proceeding with any home restoration. Doing everything we can for our clients helps us maintain a high quality of customer service, as well as allows us to do our job better. We want to do all we can to make your house look even more beautiful than it previously did, doing all we can to create a happy and healthy home environment. The fire damage restoration specialists at 911 Restoration Saint Louis include many advantages over other home restorations companies. We are IICRC certified, licensed, bonded and insured, in order to offer the most capable service possible. We are backed by 35 years of experience, meaning we literally have experience in all realms of the home restoration field. When you call on us, then you are calling on a company that you can be sure will get the job done right. From fire restoration to water damage repair, 911 Restoration is able to help with your home reconstruction issues. 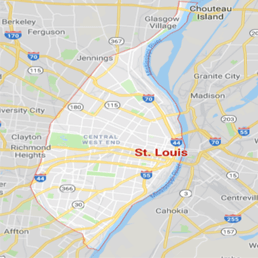 Call fire and smoke damage Saint Louis team with 911 Restoration Saint Louis so we can help you alleviate your home of soot, smoke and water. We are looking forward to giving you and your family a fresh start today!